Posted by Sam Smith on Wednesday, May 30th, 2012 at 7:36pm. 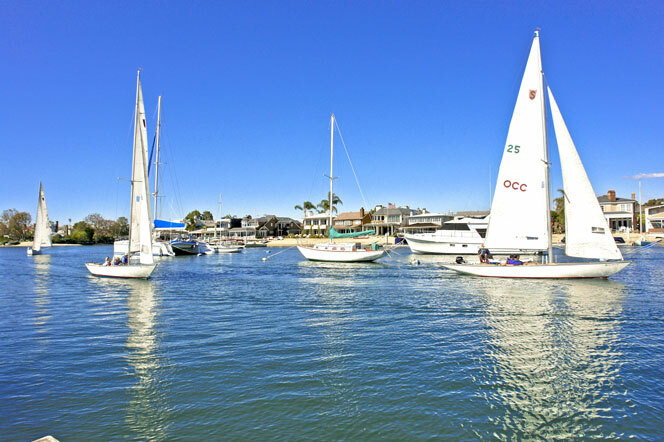 Beacon Bay Newport Beach homes are one of the best kept secrets for those looking to live in a waterfront community in Newport Beach, California. The community has a nice mixture of waterfront and water close homes. Architecturally you will find a nice mixture of Cape Cod, French and Mediterranean style two story homes. Beacon Bay has many association amenities which include a community tennis court, private beach, boat slips and lots of grassy areas for kids and pets to play. Those looking for a relaxed atmosphere away from the stuffiness of a gated community will be at home at Beacon Bay. For the first time in many years we have several properties available for sale under the $2 million dollar mark. One of the homes listed for $1,999,000 was a newly built home in 2006 that features a wonderful Cape Cod style with rich dark hardwood floors, paneled ceilings, custom wainscoting and a gourmet kitchen. Other notable properties in the community is a waterfront property that is on the market for $2,950,000 as part of a bankruptcy distressed sale. This is currently the entry level price for a home located directly on the bay overlooking Collins & Balboa Island. From this location you are just minutes to the Newport Beach Country Club and Fashion Island shopping center. We encourage you to explore the Beacon Bay community if you are in the market for a luxury Newport Beach home.